Whether you are buying your starter home or your dream home, Cherry Home Inspections can give you peace of mind and confidence. For 15 years, Jason Cherry has inspected over 4000 homes from Vancouver to Montreal with values ranging from $100,000 to $10,000,000. He is certified to do WETT inspections for wood burning appliances and is trained to do infrared inspections. And of course, he is insured. Jason at Cherry Home Inspections has the knowledge and skill to assist you as you make the biggest investment of your life for you and your family. Jason is a Certified Professional Inspector through InterNACHI . This guarantees that all inspections follow the standards and procedures as developed by InterNACHI. 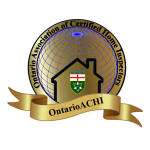 Jason is a member of OntarioACHI, a home inspection organization that is leading the way in representing the home inspection industry and protecting consumers in Ontario. Jason is also WETT Certified to inspect wood-burning appliances. A WETT inspection can be completed at the time of a home inspection or as a standalone service. If the home you are buying has a woodstove, fireplace, or wood furnace, your insurance company is probably going to want to see a WETT inspection for that appliance. Radon is the second leading cause of lung cancer in Ontario. 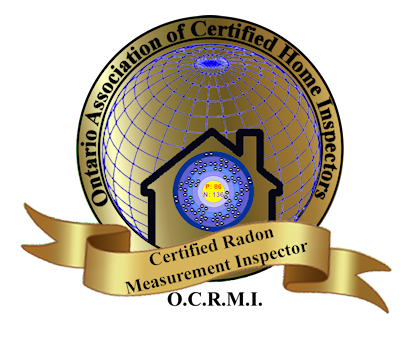 Jason is certified to perform short term radon testing as per the OCRMI protocol. Find out what the radon levels are in your home with a 48 hour test. Every house inspected by Cherry Home Inspections is eligible for the Buy Back Guarantee. If the inspection misses anything that it should have reasonably found, InterNACHI will buy your home back!